If you miss this step, parents will not get the Notficiation. There are similar checkboxes when adding an announcement or athletic game. Thanks for checking this box - the parents will appreciate it! 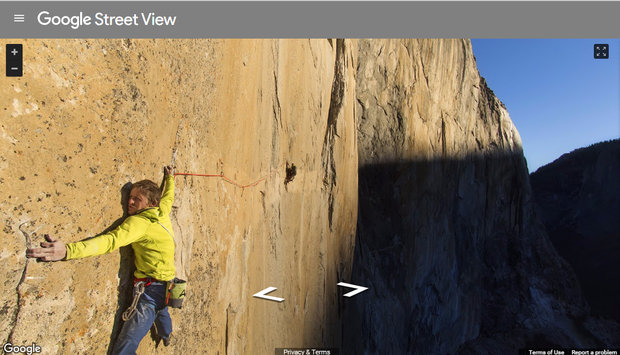 Chances are you've used Google's Street View. This allows you to get a view of a street location as if you're standing on the road. But maybe you didn't know that Google has setup a similar experience for locations all over the world, including the Galapagos Islands, underwater at the Great Barrier Reef, and from the side of a 3000-ft rock face wall at Yosemite. Click through - you seriously will not believe these views! There are a bunch more, and many of these would be exceptional virtual field-trips you can use in class with your students.